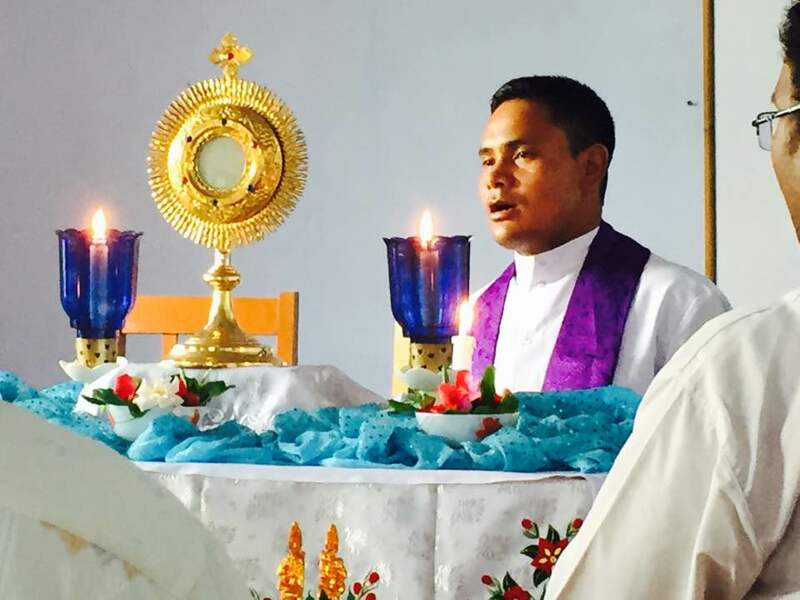 The Diocesan Priests of Miao Diocese had solemn prayerful celebration of the Feast of St. John Mary Vianney, the Patron of all Priests with Adoration and Confession on 3 August 2017 at Kristu Jyothi Niwas, Tinsukia. Bishop George addressing the Priests gathered for the occasion challenged them to follow the role model of St. John Mary Vianney to be men of prayer, and keep the salvation of the people as their daily primary goal. “It is the love for the souls of people that St. John Mary Vianney spent 16 hours at the confessional everyday, skipping meals and rest most of the days”, he reminded. Frs. Joseph Talangani and Rajesh gave short inspiring messages on the life of the Saint. “St. John Mary Vianney did not want even a single person to go to hell and that shaped his life and transformed the people under his care. Though it is difficult, let us at least try to follow his example and make our own Priesthood meaningful”, said. Fr. Joseph.